A terrifying thing to think about is that DUI accidents increase in the winter. Because of this, it is important to drive with caution while you are out having fun this holiday season and watch your alcohol intake. If you find yourself in this type of situation, it is important to contact an attorney right away. 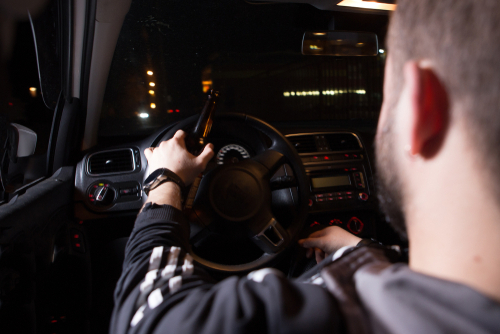 An Ohio DUI lawyer could tell you that the primary reason why we see a spike in the number of DUI-related accidents in the winter months is simply because there are more people out and about during the holiday months. Parties adds to the increased chance that someone will get out on the roads who has had too much to drink. You may find that you need a DUI lawyer in Cleveland, Ohio if you find yourself on the wrong end of a DUI situation. It is a terrible thing to put your life and the lives of others at risk by being involved in a DUI situation, but it obviously does happen. In this type of case you need the Ohio DUI attorneys to help get things sorted out. Once you have a skilled attorney on your side, they can review your case and let you know what your best options are. A lawyer knows the law and what you need to do to in order to get the best possible outcome for yourself. They are going to petition the court to have your penalty be as light as possible. That is the overall role of an attorney in these types of cases. It is to your advantage to listen to what your lawyer has to say in order to make sure you do not end up facing more severe penalties for your actions than what is absolutely necessary. Remember that he or she has the knowledge and experience to handle these types of things. They will have seen these variety of cases come before them to begin with. You must trust their judgment if you want to come out of this as unscathed as possible.